Grosvenor offer a transformer uprating service in accordance with the specifications for dissipation and temperature rises outlined in BS171 and IEC76. Following detailed client proposals, the team at Grosvenor will undertake all re-design work supported by detailed thermal calculations and associated recommendations. Many power transformers can have their rating improved on-site with minimal disruption to the network. 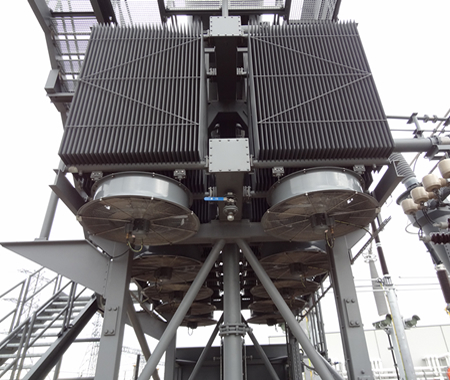 An increase in the MVA rating by improving the cooling through a re-design of the existing arrangements or by the addition of ancillary equipment is often possible; this can be a cost effective method of realising the full asset value of transformers.